The mouse one Amazon review said is "like trying to lift a pyramid off of a flat surface" returns with a smoother, more ergonomic design. I'll say this about Alienware: When people complain, the company listens. It's been just about a year since the debut of the Alienware Elite Gaming Mouse, and people had a whole host of problems. "It's too flat." "Six buttons on the thumb? Too many!" "It's hard to lift!" "It's expensive!" Unfortunately that last one isn't getting fixed by 2018's hardware revision, but it sounds like the rest might be. The original Elite Gaming Mouse was packed with customization options. You could insert weights into the mouse for a smoother but heavier feel. You could adjust the palm rest up and down. You could swap the side panels, opting for a thumb and pinky rest or a smoother surface. It sounds like all those high-end features are returning, along with the eye-watering $90 price tag. It's just a few of the nitty-gritty details that have changed. For instance, you can still swap out the Elite Gaming Mouse's side panels. Alienware includes two options for each side, one with a wing to rest on and the other flat. 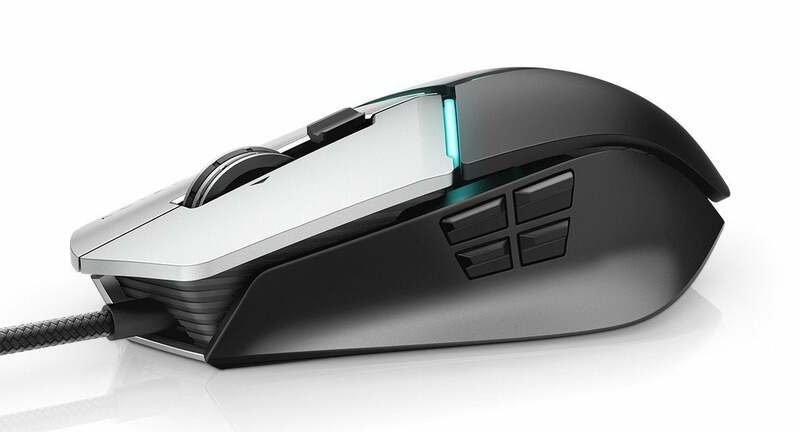 Instead of six thumb buttons, though, the new Elite Gaming Mouse opts for four—much more manageable, though it cuts the total number of buttons down to 11. 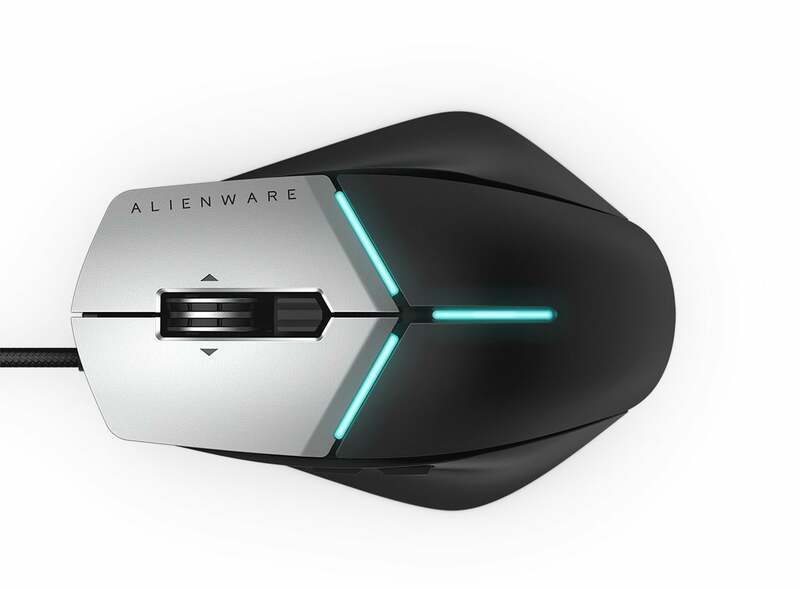 Alienware claims the ergonomics have been completely reworked, saying the new Elite Gaming Mouse should be more compatible with both claw grip and palm grip users. There's still a three-position palm rest adjuster, but even the lowest setting looks quite a bit more rounded than the previous model's. Hard to analyze from a few still images, but I'm looking forward to putting in some hands-on time to test those claims. And the rest? Alienware didn't give hard specs, but I assume the Elite Gaming Mouse is otherwise unchanged. 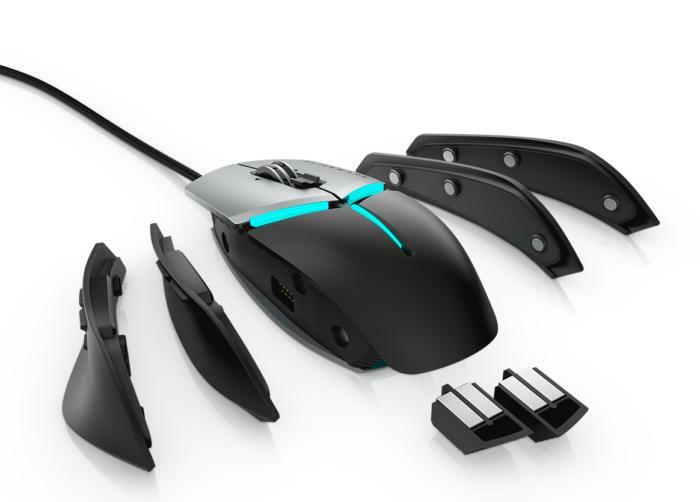 That means a 12,000-dpi optical sensor, a tilt-wheel, RGB zone lighting, on-the-fly dpi adjustments, four insertable weights, a 1,000Hz polling rate, fabric-sheathed cable, and Omron switches. It's still not exactly what I'd call a must-have mouse, especially at $90. That's a high price for a fairly standard gaming mouse. Great to see Alienware listening to feedback, though. For those who want to run a full Alienware setup, at least 2018's Elite Gaming Mouse should be quite a bit more comfortable. The new model is set to launch on July 31, but we hope to have some time with it at E3 next week. We'll keep you updated.